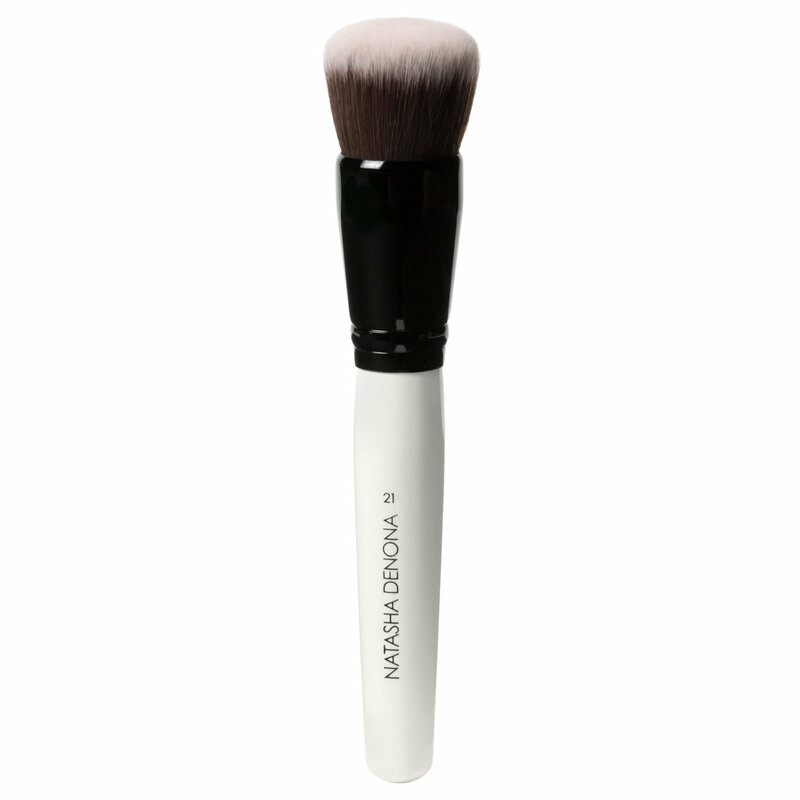 Natasha Denona's #21 Body Shimmer Brush is perfect for buffing products into the skin and creating a flawless coverage with a natural-looking finish. The incomparable quality of Natasha's brushes stems from one critical fact: they have been methodically designed by a creative, professional makeup artist who has applied her expertise to thousands of faces over many years. It was Natasha's extensive experience and knowhow that enabled her to build such artist-friendly brushes, perfectly shaped for different facial areas – eyes, cheekbones, lips etc. Unfortunately I had to return the glow system, but this tool was included and I loved it so much I bought it again as soon as it came out! Great for face AND body, easy to paint, buff, and stipple. Absolutely one of my favorite brushes! A must have buffs out product beautifully. Own 3 of them!